After receiving her Bachelor of Architecture from Ball State University, Catherine Baker earned a Master of Arts in Social Sciences at the University of Chicago. Both disciplines share fundamental underpinnings that pertain to the work of Landon Bone Baker Architects; understanding people, understanding problems, making connections, and developing programmatic solutions. In 2002, Catherine became a Principal at Landon Bone Baker Architects where she is using these skills to develop a direct neighborhood outreach program, which fosters better-informed communities while simultaneously gathering the data that informs design. The importance of understanding neighborhood problems and connections can be seen in the planning projects that Catherine has managed, which include various federally-funded programs focusing on neighborhood revitalization such as HOPE VI, the Neighborhood Stabilization Program, and the redevelopment of a large Section 8 housing project in the Woodlawn neighborhood under the new Choice Neighborhoods Initiative. Several of these projects address specific neighborhood needs; Tierra Linda is a scattered site housing project located in Humboldt Park and near the 606 Trail that is conceived and developed to nurture health and healthy living. Tierra Linda will also feature the first affordable multi-family Passive House building in the City of Chicago. Dorchester Art + Housing Collaborative transformed a former Chicago Housing Authority townhouse project into a mixed-income residential development with a focus on artist collaboration. Catherine is active in Chicago’s architectural education community. For over 10 years she taught an architecture class in partnership with Lane Technical High School and Marwen that concentrated on urban design and neighborhood study. She continues to volunteer and support high school programming at the Chicago Architecture Foundation; She was a member of the advisory team at the Chicago Architecture Foundation that developed “The Architectural Handbook,” an award-winning architectural curriculum for the Chicago Public Schools, and acts as advisor and judge for the Newhouse Competition. 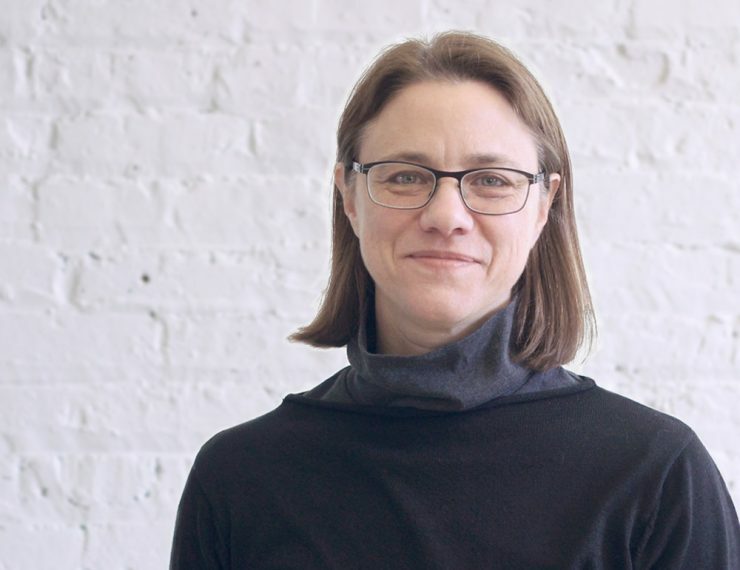 She is also a founding mentor for Marwen’s Art at Work program and is currently co-leading the Architecture Education Network—a joint effort between CAF and AIA Chicago that will develop a design education path for K-12 architecture programs in Chicago. Catherine is an active member of AIA Chicago where she currently serves as the 2018 Board President. She also serves on the Board of Directors at the Chicago Asthma Consortium where she coordinates among health experts, builders, developers, and architects to design healthier living environments. She is past President of the College of Architecture and Planning Alumni Society at Ball State University and serves as a member of the College of Architecture and Planning Executive Advisory Board at Ball State University. LUCHA: Featuring the first, affordable multi-family Passive House in Illinois!